This paper seeks to determine which standard offers the best value and has the best chance of being viable in the long term. Ethernet-based technologies have long been game changers. When first introduced, Ethernet innovated local area networks, and by extension broadband networks. Now key components of the Ethernet ecosystem are being used to innovate industrial fieldbus networks. Typically, industrial automation and machine controls relied on proprietary networks to connect machine controllers to remote components. Now new protocols have emerged that capitalize on the Ethernet standard to deliver breakthrough price and performance. Machine builders that adopt the right real-time Ethernet fieldbus standard will enjoy a marked competitive advantage in both price and performance when compared to any other fieldbus. The challenge for these equipment manufacturers is that there are so many different Ethernet fieldbus standards competing to be the most valuable and viable. In a crowded market, it’s hard to know which standard to select. Adopting the wrong standard means unnecessary cost and sacrificing competitive advantage due to slower performance. This paper examines five different important protocols that have emerged as contenders to offer the best price/performance open standard for real-time Ethernet fieldbuses. In alphabetical order, the standards being compared are EtherCAT, EtherNet/IP, Ethernet Powerlink, PROFINET IRT, and SERCOS III. There are other technologies that leverage Ethernet as well, but their components are not sufficiently published, downloadable or promulgated in the open source community to be considered standard and open. This paper does not address these proprietary technologies, including Mitsubishi’s CC Link Field and Yaskawa’s Mechatrolink III. One of the five real-time Ethernet fieldbus standards has achieved a tipping point of acceptance. Cutting through all the marketing clutter, it becomes clear that EtherCAT offers both superior performance and market acceptance. Its performance is an order of magnitude better than Ethernet IP and Powerlink. And while PROFINET IRT and SERCOS III offer nearly equivalent performance characteristics, EtherCAT offers a more “open” solution at far lower cost than both PROFINET IRT and SERCOS III. 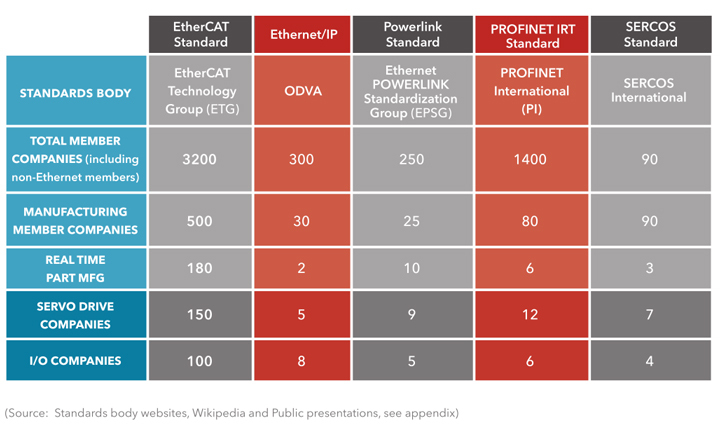 From a technology and price/performance standpoint, EtherCAT is far superior. And the market agrees. EtherCAT has been adopted by 10 times more servo drive and IO suppliers than any of other standard. Any machine builder that is considering the adoption of a real-time fieldbus technology should choose EtherCAT to deliver the best price/performance and the best long-term value. This white paper offers the evidence for this recommendation by providing a description of distinguishing features of each standard, comparing the performance and price/performance, and by tabulating market adoption rates. The Evolution of Real-Time Ethernet Fieldbuses For many years, Ethernet and the TCP/IP protocol have been used in the manufacturing arena to network control systems, management systems, and manufacturing cells on a manufacturing shop floor, but not for the controlling communications inside the actual machines and equipment. The machine controller itself and the communications to the actuators invariably demand the use of deterministic fieldbus, so TCP/IP is not suitable. Trying to use traditional TCP/IP protocol from machine control to the sensors and actuators has failed due to the inability to satisfy deterministic, real-time demands. It is simple as that. However, the machine-builder industry (companies that build equipment like CNC, semiconductor, medical imaging, test bench, etc.) could see the value of reusing the hardware components typically used in a TCP/IP network setting. The explosive growth of the Internet created a universal standard for communication cards and cabling. A network interface card (NIC) and a TCP cable cost a mere fraction of the cost of an industrial fieldbus cable and DAQ card. Reusing this hardware could save companies 50% of the cost or more versus a traditional proprietary fieldbus configuration. The economics of adopting Ethernet as a fieldbus are compelling because Ethernet components offer dramatically lower costs and are universally available. Relying on a proprietary fieldbus, a robot manufacturer, for example, must purchase the entire proprietary motion assembly from a single vendor: IO card at up to $400, proprietary cables at up to $30/linear foot and servo drive and motor at a premium. By using Ethernet-based standard protocol, the IO card can be replaced by the onboard NIC card ($0 additional cost) that comes installed on the PC, the proprietary cables can be replaced by inexpensive CAT5 cables, and the servo drives will be dramatically lower if the standard is strong enough to support multiple vendors. Equipment assembly for Ethernet components is much simpler too. Rather than having cable harnesses that are 4 inches in diameter at the PC interface, a simple CAT5 cable similar to the one that connects to your home PC is far more manageable. These are just a few of the economic benefits for Ethernet. The industry soon realized that while TCP/UDP/IP protocol could never deliver the real-time, deterministic response required by industrial machine controllers, the ubiquitous and inexpensive hardware – network interface card (NIC) and CAT5 ethernet cables –could be used to deliver the real-time response required by machine control applications. All that was needed was a new real-time protocol that was designed from the ground up to use the physical layers of the hardware, but could deterministically connect and communicate the machine controller to all the sensors and actuators in a machine. In some cases, companies could potentially use some augmenting hardware that delivered the needed determinism. Since 2001, reputable industrial titans have introduced no less than five different Industrial Ethernet real- time protocols. They have been promoted as potential standards that would enable the reuse of the Ethernet protocol or Ethernet hardware, and promise to lower the cost to build a real-time controller for equipment. This proliferation of so many potential standards stems mainly from the fact that there are clearly different technical approaches to making it possible to reuse Ethernet hardware components like NICs and CAT5 cables to dramatically lower the cost and improve the performance of a machine, while making it possible for messages to be capable of supporting real-time, deterministic applications. There is another reason that so many potential standards were being promulgated. Leading industrial control manufacturers were attempting to capitalize on the cost savings from Ethernet by extending their own standard to include Ethernet. In doing so, their customers receive some of the benefit from Ethernet but are still locked into the proprietary networks for the long term. Frequently forgotten in these discussions is the fact that it’s not just technical properties such as performance and transfer rates that count, it’s also the soft facts like easy implementation, openness, independence, risk avoidance, conformity, interoperability, long-term availability, and overall distribution that makes a standard gain acceptance and even thrive. So what, really, is a standard, and why is it important to select the “best” most viable standard? Standards are published documents that establish specifications and procedures designed to ensure the reliability of the materials, products, methods, and/or services people use every day. Standards address a range of issues, including but not limited to various protocols that help ensure product functionality and compatibility, facilitate interoperability and productivity, and support consumer safety and public health. Proprietary products deliver competitive differentiation in early stages of technology development. But there comes a point when open, standards-based solutions are necessary to establish the technological foundation on which more innovators can participate at lower cost, toward the goal of growing a richer and more robust market. Communications, computers, energy, and healthcare are among the many, many technology areas that have all demonstrated this pattern. Standards form the fundamental building blocks for product development by establishing consistent protocols that can be universally understood and adopted. This helps fuel compatibility and interoperability and simplifies product development, and speeds time-to-market. Standards also make it easier to understand and compare competing products. As standards are globally adopted and applied in many markets, they also fuel international trade. It is only through the use of standards that the requirements of interconnectivity and interoperability can be assured. It is only through the application of standards that the credibility of new products and new markets can be verified. Standards fuel the development and implementation of technologies that influence and transform the way we live, work, and communicate. Most importantly, successfully adopted standards wring the cost out of products and drive breakthrough efficiencies, productivity, and price/performance. If the standard is not well adopted, the optimal savings and efficiencies will never be realized. 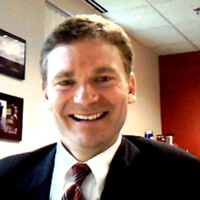 In other words, there is a risk for any company that adopts a standard that is not broadly adopted by the supplier and user ecosystem because that company will always be at a competitive cost and efficiency disadvantage; it will never enjoy the maximum cost savings, performance gains, productivity, and efficiencies as compared to the best or most broadly adopted standard. Further, to stay competitive, a machine builder will usually be forced to eventually adopt the most strategic standard and this has all sorts of avoidable cost implications. This section will briefly introduce the standard, the standards body history, and the key philosophical and architectural underpinning that distinguishes each standard from the other. This paper does not describe the entire protocol but shines a light on the technological component that simultaneously capitalizes on Ethernet yet distinguishes it from other open standards that also seek to capitalize on Ethernet. Following that, the standards can be compared side by side to uncover the relative strengths of each approach. As we will see in the review of each respective protocol, there are profound differences in the technical approaches. This creates real separation between the contenders as to which standard is the most valuable and enduring. Some approaches rely on traditional Ethernet protocols and thus have a limited real-time capability and bandwidth, while others reuse the hardware components of the Ethernet and deliver breakthrough performance. Based on TCP/IP: Protocols are based on standard TCP/IP layers with real-time mechanisms embedded in the top layer. These solutions usually have a limited performance range. New standard protocols are implemented on top of standard Ethernet layers. These solutions benefit from Ethernet evolution without further investment. However, to deliver the determinism, the standard must include a proprietary software controller at the OSI Layer 3&4 to reserve time on the network, otherwise latency can occur. These solutions effectively create a new standard to take advantage of the existing Ethernet hardware, but require a new protocol and some hardware that guarantees determinism. The software is published freely and in the public domain. The hardware can be as complex as a special switch or as simple as an ASIC that fits into the slave device. With that as context, each Ethernet standard will be described and assigned to one of these three architectural categories. The EtherCAT protocol was initially developed by Beckhoff, and the standard has now been handed off to the EtherCAT Technology Group (ETG). Real-time results have shown that EtherCAT delivers the most deterministic response of any industrial real-time Ethernet system available. Being able to process 1,000 I/Os in 32.5 µs or 100 axes in 125 µs offers machine builders the opportunity to deliver breakthrough in machine performance at a lower price. With EtherCAT, all devices are networked with the bus master in a ring formation. During each cycle, relevant output data is extracted by the devices from the Ethernet data packets sent by the bus master. Input data is also stuffed into packets “on the fly“; these packets arrive again at the bus master upon reaching the end of the ring. This system was designed for centralized controller architectures with simple field devices in a Master/Slave configuration. To guarantee that devices from different manufactures can work with one another, ETG has run plug fests to make sure that different drives and IOs from different manufacturers can all work seamlessly on a single installation. The fact that more than 500 I/O and drive vendors have now adopted EtherCAT for their slave device configurations speaks volumes about the power and efficacy of the protocol. The adoption was driven by large vendors in the semiconductor and robotics industries who refused to buy a drive unless it supported EtherCAT. EtherCAT uses the telegram structure of Ethernet, but with an entirely different basic mode of operation. Within a communication cycle, a telegram is not sent to each station separately as in other Ethernet approaches, but rather a single Ethernet telegram runs through all stations/slaves. The data area in the Ethernet telegram divides into sections for real-time and general data. In the real-time data area the headers and process data of all stations are defined in consecutive sub-telegrams, thereby increasing the user data rate in the protocol (in motion control applications the user data rate in the shortest Ethernet frame of 64 bytes is usually below 15%). The slaves feature special ASICS or FPGAs which convert the incoming Ethernet-framed data into an internal so-called E-bus. As the EtherCAT slaves are only able to interpret EtherCAT frames, general data is tunneled in EtherCAT frames in order to guide it through slaves. Initially released in 2000, EtherNet/IP is an open industrial standard developed by Allen-Bradley (Rockwell Automation) and the ODVA (Open DeviceNet Vendors Association). The “Ethernet Industrial Protocol” is essentially a port of the CIP application protocol (Common Industrial Protocol), which was already used by ControlNet and DeviceNet, to the Ethernet data transfer protocol. EtherNet/IP is particularly well established on the American market and is often used with Rockwell control systems. ETHERNET Powerlink was introduced by B&R in 2001. Its goal was to provide standard Ethernet with real- time properties and allow universal solutions all the way down to demanding motion applications. Since that time, the EPSG (ETHERNET Powerlink Standardization Group) has promoted ETHERNET Powerlink and taken responsibility for its openness, continuous improvement, and independence. Powerlink is a strictly cyclical protocol that organizes the access to a network as well as the synchronization of the devices. The communication cycle is divided into an isochronous phase for time- critical data as well as an asynchronous phase for transferring ad-hoc data. All of the devices on the network can always directly read all of the data from the other devices; detouring over a central bus master is not necessary. This protocol is equally suitable for local as well as remote control designs. Because ETHERNET Powerlink is a cycle-based real-time system, it superimposes a time slot mechanism over the CSMA/CD mechanism. The master (controller) successively polls the slaves (drives) within an allocated communication cycle period. The remaining cycle time is left over for asynchronous data traffic, such as for configuration of the devices. Data transport occurs via a standard Ethernet telegram, with the Ethertype set to ‘Powerlink’ for the real-time data and to ‘IP’ for the general data. All stations (master and slaves) within a real-time segment interconnect via a standard Ethernet hub. A special gateway links the real-time segment to the standard Ethernet environment. The IEEE1588 time synchronization method permits different real-time segments to be synchronized in a highly precise way, such as might be required for the control of multiple robots. The idea behind ETHERNET Powerlink is to find the right balance between common automation demands and those demands that are specific to each application area. This has led to a widely accepted solution that gained some initial traction in the market. However, only a handful of servo drive vendors adopted Powerlink in spite of the fact that countries like China adopted it as a standard. This means that the standard is not actually broadly adopted. The resulting economic benefits were not as compelling because the price for servos remains high. In response to these conditions, the Chinese government has now updated its preferred standard and adopted EtherCAT. Having more vendor choices drives costs down. PROFINET (“Process Field Network”) is differentiated into different performance classes to address various timing requirements: PROFINET RT for soft real-time, or no real-time requirements at all, and PROFINET IRT for hard real-time performance. The technology was developed by Siemens and the member companies of the PROFIBUS user organization, PNO. The Ethernet-based successor to PROFIBUS DP, PROFINET I/O specifies all data transfer between I/O controllers as well as the parameterization, diagnostics, and layout of a network. In order to cover the different performance classes, PROFINET makes free use of the producer/consumer principle and resorts to various protocols and services. High-priority payload data sent directly via the Ethernet protocol travels in Ethernet frames with VLAN prioritization, whereas diagnostics and configuration data, for instance, is sent using UDP/IP. That enables the system to achieve cycle times of around 10ms for I/O applications. Clock-synchronized cycle times below one millisecond, as required for motion control applications, are provided by PROFINET IRT, which implements a time multiplex mode based on specially managed, hardware-synchronized switches. So-called dynamic frame packing (DFP) will in the future give users a new PROFINET variant designed to optimize cycle times, making use of the summation frame principle for a certain set of devices in the network. PROFINET IRT for hard real-time also uses a time slot mechanism. Accordingly, a certain bandwidth is reserved for the real-time data traffic (IRT = isochronous real time), and the remaining bandwidth is available for asynchronous communication. The stations are interfaced via special switches integrated into the field devices rather than by standard Ethernet switches. These special integrated switches comprise a special ASIC controlling two or four ports at a data rate of 100Mbps. PROFINET is widely used industrial Ethernet by Siemens and GE, and since it is embedded in their controllers and equipment, the market share is slightly inflated. Not many drive vendors support PROFINET IRT so it has not been broadly adopted by machine builders outside of Siemens and GE. A freely available real-time communication standard for digital drive interfaces, SERCOS III not only specifies the hardware architecture of the physical connections, but also a protocol structure and an extensive range of profile definitions. For SERCOS III, effectively the third generation of the SERCOS Interface (SERCOS, Serial Realtime Communication System) that was originally introduced to the market in 1985, Standard Ethernet according to IEEE 802.3 serves as the data transfer protocol. This communication system is predominantly used in motion control-based automation systems. A registered association, SERCOS International, supports the technology‘s ongoing development and ensures compliance with the standard. SERCOS-III uses the Ethernet physics (100Mbps) and the Ethernet telegram while retaining the existing SERCOS mechanisms. SERCOS-III is likewise based on a time slot mechanism in which bandwidth is reserved for the isochronous (real-time channel) and asynchronous (IP channel) data traffic. SERCOS- III works without hubs or switches. Each station has a special integrated ASIC or FPGA with two communication ports, enabling it to be connected via line or ring topology. Eliminating the switches means shorter cycle times can be implemented, though at the cost of flexibility in the network topology. There are other fieldbuses, such as CC-Link from Mitsubishi and Mechatrolink from Yaskawa, that can use Ethernet components but do not meet our definition of open. These protocols and others were not considered in this white paper because the key elements of the protocol still demand the use of technology from the originating vendor. Even though they use Ethernet components, there are aspects of the protocol that are proprietary and the source code is not freely available. Now that the fundamental architecture of the various standards for delivering real-time Ethernet fieldbus has been defined, let’s compare, contrast, and ultimately assign a score to each standard. When evaluating the viability of a standard, there are two primary dimensions by which a standard should be measured. First, the standard needs to compete favorably with proprietary and competing standard alternatives, and thereby deliver the performance, reliability, and efficacy that are typically ascribed to a proprietary solution. These lead to the economic breakthrough from lower costs of the components of the standard. Second, it is important to understand the long-term viability and market acceptance of the standard by both suppliers and consumers. That being said, it is often difficult to clear away the marketing hype to understand the key distinguishing technological and price/performance differences and to measure market acceptance. With respect to market acceptance, long-term viability depends on a standards body’s ability to make progress advancing the standard. Additionally, a prerequisite to successful adoption is that the standard must lower the barriers that allow vendors of the ecosystem to enter the market. This is done by making the standard independent and interoperable. In other words, the standard needs to be published and “open”. Equally important, however, vendors that adhere to the standard require low risk and low cost to making its solution comply with the standard. Regardless of the openness and successful adoption of the standard, success is really a measure of how interoperable the various vendor devices are. The strongest of these fieldbuses will be the one that has a very well supported compliance and interoperability program. As is the case with most industry standards bodies, the Ethernet fieldbus standards bodies all stem from industry titans so they are well funded and capable. However, some of the resulting standards remain too dependent on the original titan, and the “standard” has limited efficacy because it incorporates too many legacy components from the proprietary precursor to the standard. Because of the dependence of proprietary components, the standard often fails to lower the risk and cost sufficiently to get many entrants to adopt the standard. So while the standard delivers the desired definition that enables interoperability, there are certainly differences in the costs of implementation that impact long-term viability. As stated above, long-term viability is a function of how many vendors in the ecosystem support a given standard. The lower the risk and costs and the better the interoperability, the more suppliers will offer a solution. The more venders that offer a solution, the stronger and stickier the standard becomes. Once again, some standards bodies have done a better job of creating an independent, interoperable, low risk and low cost standard, and this has produced unstoppable momentum that will carry the standard far into the foreseeable future. Normally, there are countless technical dimensions of a standard that a customer/consumer must take into account when considering the adoption of a standard. All of these technical dimensions are really only significant if the fundamental performance delivered by the standards is nearly the same. But the performance of the standards varies widely, because the architectural differences render a wide performance difference. Further, if a standard doesn’t compare from a price/performance standpoint, the standard will unlikely become viable in the long term. In other words, if the standard does in fact achieve the performance, but there is an expensive component that is required to achieve that result and that changes the economics, then that standard will not be viable either. In EtherCAT and SERCOS III networks, the transfer of summation frame telegrams follows the master’s clock. PROFINET IRT uses synchronized switches to control communication. These standards view the goal differently than predecessor standards. The goal was to reuse as much of the Ethernet standard and components as possible to enjoy the low cost benefits, but then minimally modify the actual protocol with complementary hardware to deliver breakthrough performance. In the end, the adopting vendor usually must absorb the “royalty” cost of adopting a standard. In Powerlink environments, a software-based master controls the timing on the network and the master authorizes individual nodes to send data. The benefits of this approach are that it still relies on the Ethernet standard and manipulates and controls latency by controlling who can access the network. Because it strictly relies on the Ethernet standard, it can never deliver the performance of standards that simply want to reuse the low cost hardware components (NIC cards, CAT5 cabling) and are willing to modify the Ethernet protocol – usually at the slave component level. Ethernet/IP employs CIP Sync to distribute IEEE 1588 compliant time information throughout the net- work. The benefit of this approach is that it seeks to remain 100% compliant with the Ethernet standard itself. The drawback is that it offers the least performance of all the Ethernet fieldbus standards that are being reviewed. Ethernet/IP is actually constrained by the very Ethernet standard to which it seeks to comply. To achieve breakthrough performances, all the other fieldbus solutions end up modifying some aspect of the Ethernet standard to create a new standard, and to achieve a dramatically better level of performance. Typically, this means the servo drive or I/O vendor must include an ASIC in their solution that allows them to comply with the modified Ethernet protocol. And this becomes a barrier to adoption for the driver manufacturer. The larger the cost, the more the resistance to adopt the standard. As it turns out, PROFINET IRT is the most expensive approach for this category of fieldbus. SERCOS III’s moderate hardware requirements are next, and EtherCAT offers the least expensive hardware solution. In the end, Beckhoff’s choice to keep the Slave ASIC cost very low lowered the barrier to adoption and allowed EtherCAT to deliver the best price/performance solution. With that as background, the table below compares the real-time behavior of an application in which 100 axles need to be controlled synchronously. 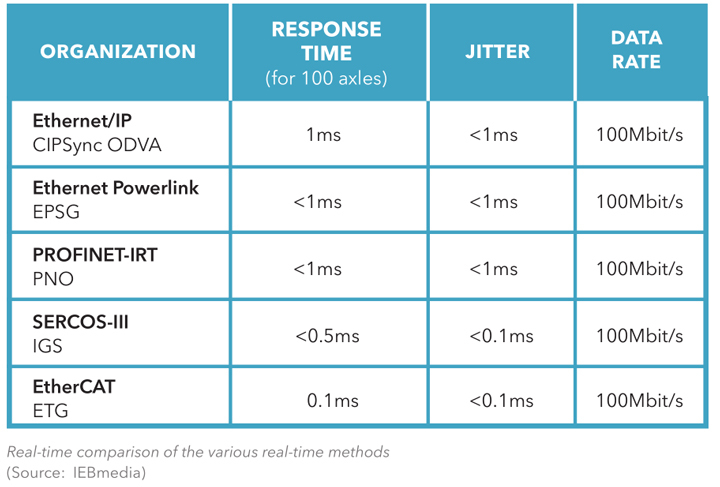 The two criteria analyzed in terms of performance measurement are the response time (cycle time) and the jitter (that is, the variation in response time). All five real-time methods are powerful in performance, with response times of less than or equal to one millisecond. Ethernet/IP, EPL, and PROFINET-IRT are similar in magnitude; SERCOS-III and EtherCAT are faster and more precise than the other three real-time methods by an order of magnitude. Clearly, the top performing protocols - PROFINET IRT, SERCOS, and EtherCAT – benefited from having better hardware integration. PROFINET IRT requires substantial (expensive) switches and complex configuration effort to make it work. SERCOS depends on a hardware station, also expensive. The magic of EtherCAT is that Beckhoff charged a small, acceptable fee for the ASIC in the slave device and there were no other costs. In conclusion, EtherCAT stands apart from a price/performance perspective. It offers the best performance, least jitter, and the lowest cost for incorporating the proprietary hardware required to deliver the determinism. As we will see in the next section, this creates the tipping point for market acceptance. Just defining a standard is not sufficient to deliver on the promises that cost will be wrung out of the system, that all the components will be truly interoperable and will work in a plug-&-play fashion for consumers, and that the standard will become viable for the long term. The standard is only the prerequisite for success, but without many suppliers, there is less competition to wring the cost out of the system and there are fewer opportunities to increase the quality, interoperability, and robustness of the standard. Worse, without a market, consumers are less likely to adopt the standard, so there is no momentum for other suppliers to enter. The standard will languish until the economics and openness are so compelling that both suppliers and consumers enter the market concurrently to prime the pump of market-wide adoption. As a simple example, think of the PC. In early days, there were countless proprietary PCs. Suddenly, IBM broke with its own tradition of keeping design control and created the open de facto standard definition of the PC. In doing so IBM created markets for PCs and its components alike. IBM manufactured the PC but also enabled other companies to manufacture the PC too. The component manufacturers (floppy drives, hard drives, power supplies) and the PC manufacturers flourished, and the price of the PC dropped steadily. In contrast, Apple and others remained a closed system and didn’t benefit from the economies of scale that the PC did, so it didn’t enjoy the massive market share success. A standard will only truly have long-term viability when it successfully creates a market of suppliers along with consumers that want to capitalize on the standard. The best way to measure which standard is the most promising and offers the best long-term viability is to examine its market penetration. Ultimately, the existence of a market around a specific real-time Ethernet fieldbus standard serves as proof that the standards body has successfully done its work, that consumers and others can create components that can plug and play and easily substitute, and that it will remain viable for the foreseeable future. Thus far, we have focused on the methodology for how real-time Ethernet fieldbus standards can be evaluated for long-term success. Now, we will define the specific measure and conclude with a tabulation of the relative market strength of each standard. The market has spoken, and EtherCAT has reached a tipping point of acceptance. EtherCAT is by far the most widely accepted and adopted real-time Ethernet fieldbus standard. As described in the technical section, EtherCAT offers the best price/performance. And in this section, the conclusion is that EtherCAT will be the most durable and cost-optimized standard because there is safety in numbers. To identify the standard that has the best adoption and has the best long-term viability, we simply counted the number of suppliers that embrace and comply with the respective standards to understand whether a market of competition has been created that would lead to long-term viability. We also counted the number of consumers that signed up as members of a standards body and hoped this would serve as a proxy for the relative strength of consumer awareness. The best, most compelling, and most viable standard is simply the standard that has the most suppliers throughout entire supply chain along with the most consumers. EtherCAT stands apart. It should be noted that just counting the number of consumers or number of deployments or the revenues associated with a standard is not, by itself, a good measure of the market acceptance. Often an industry titan can skew the perceived importance of its standard by offering such misleading statistics. A titan in industry can bundle its “standard” protocol with every device shipped to inflate the count. Sometimes consumers do not even know that the titan’s standard is embedded inside a device. The telltale sign of a successful standard is the market. Without suppliers, there is no free market competition and the consumer pays the price. Finally, large equipment builders, manufacturing organizations, and sometimes governments play a critical role in creating the ideal conditions for a standard to reach a critical mass of acceptance that turns into a tipping point of broad adoption. Titans of industry often do not want standards that allow for the best-of-breed deployment, but would rather be the sole-source provider of a more lucrative whole solution. It is the super large end-user consuming organization with purchasing power that can mean the difference between the success of a standard or not. EtherCAT Technology Group has Applied Materials and other large vendors to thank for driving the acceptance of EtherCAT. Applied Materials (AMAT), in particular, is one of the preeminent semiconductor companies in the world with about $8.7B in revenue in 2015. While it had relied on whole servo solutions from servo manufacturers for years, AMAT steadfastly told its suppliers that it was moving to EtherCAT, and if the servo manufacturers wanted to compete for the business, then the solution must be EtherCAT. Since so much revenue to the supplier organizations was at stake, they were forced to adopt the standard or risk being shut out by a competitor. And when the best suppliers in the world started supporting EtherCAT in order to win the AMAT business, other suppliers followed suit. Tipping point achieved. Sometimes, governments can help a standard if they have similar purchasing power, while sometimes governments just recognize and follow the trend. The Chinese government is a good example. In 2012, China’s government recommended the Ethernet Powerlink as the standard real-time Ethernet fieldbus. At the time, it had momentum and had proven performance, so it seemed like a logical choice. Two years later, the China government reversed its decision and recommended the EtherCAT standard. The government recognized that EtherCAT had achieved critical mass of market penetration and delivered much better economic returns. According to the respective organizations’ marketing collateral and each standard’s adopters and promoters, all real-time Ethernet fieldbus standards offer compelling and differentiated value. But this paper sought to determine which standard offer the best value and had the best chance of being viable in the long term. As we noted, if a company does not choose the best standard, it will be at a competitive disadvantage over time. This is why it is so important to get it right the first time. The market has spoken: EtherCAT is the best, most valuable, and viable standard. It offers the best performance, price/performance, and has a critical mass of adopters by suppliers and end users. It is the adoption rate and breadth by the supply chain that truly distinguishes EtherCAT, and is the foundation for the projection that it will be the strongest standard in the market. The driving force behind the formation of IntervalZero, Jeff led the acquisition of the former Ardence embedded technology business from Citrix Systems in June 2008. Jeff brought more than 20 years of executive management, corporate and product strategy, sales, marketing, and engineering expertise to IntervalZero, which has seen steady revenue and customer growth worldwide under his leadership.